ESN LSMU has finally become part of the pan European ESN family. ESN stands for the Erasmus student’s network, which is a Europe-wide student’s network, goal of which is to support and develop student exchange. It is composed of around 13,500 members from 502 local sections in 37 countries in Higher Education Institutions, including universities, polytechnics, and university colleges. ESN is organized on the local, national and international level. The network offers its services to around 160,000 international students. 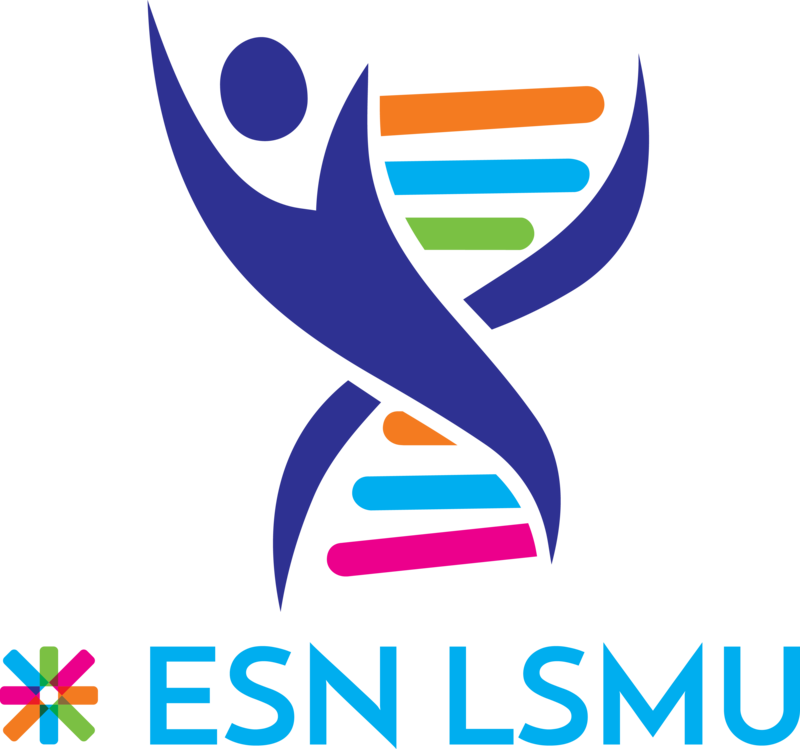 ESN LSMU joined this network officially, being elected on 5 December after being voted in by 12 out of 13 sections with 1 abstaining on the national platform plenaries, which was organized by ESN VDK in Vilnius from 5 to 6 December. The national platform is a meeting of all the Erasmus students’ networks of Lithuania. It was organized by ESN VDK this year on 5 and 6 December in the scenic capital city of Lithuania, Vilnius. The ESN LSMU delegation, which was represented by Janina Kostiukaitė and Abhiyaan Malhotra, Mathilde Desplanque, Greta Navickaitė and Viola Adam, departed to Vilnius early in the morning of 4 December and arrived directly at the national platform in Vilnius. ‘We were a bit nervous but nevertheless confident about our selection into ESN’ said Abhiyaan Malhotra describing his experience of the national platform. The national platform commenced with some presentations about ESN Lithuania, its purpose and various workshops which were all organized by ESN VDK, national board and the international guests which were from ESN Poland and ESN Czech Republic. After the initial formalities, it was the time for the plenaries. This was the moment that ESN LSMU section had been preparing for tediously for months. A presentation on ESN LSMU was presented by President Janina Kostiukaitė to all the various ESN sections of Lithuania followed by a question and answers session in which she answered the queries of the audience. ESN KTU, which is the ‘buddy’ section of ESN LSMU, presented a report on the progress of ESN LSMU. After this, there were discussions which were held on the fate of the candidate sections in their absence. After a long and gruelling first day of the national platform, it was time for a relaxing social evening, which was organized by the organizers of the national platform and was welcomed in good taste by the exhausted ESNers, the next morning saw the results of the voting in which ESN LSMU was finally selected as an official ESN section in an unanimous vote of confidence, making ESN LSMU the 14th member of ESN Lithuania and 502nd member of the Erasmus Student Network in Europe the vice president of ESN LSMU, Abhiyaan Malhotra said, ‘It was a proud moment for current as well as previous board members whose hard work made this possible. Being the vice-president of this diverse organization in LSMU, which has international as well as local students on board, we will try to lessen the gap between the Erasmus students and the university by making an increasing number of events for them with the university students, so that they have memorable Erasmus here in LSMU’. Talking about the obstacles they had to overcome to the journey of becoming an official section of ESN, the President of ESN LSMU Janina Kostiukaitė mentioned, ‘This only made us stronger as a team and led to the heights of our success’. She also highlighted her confidence in ESN LSMU becoming a leading section of Lithuania in the future, saying ‘There is no doubt that ESN LSMU will become a leading section in Lithuania just because of our hard working team, which I am very proud of’.